If you saw my post yesterday, then you know that decorating the TREE isn’t my forte. At all. 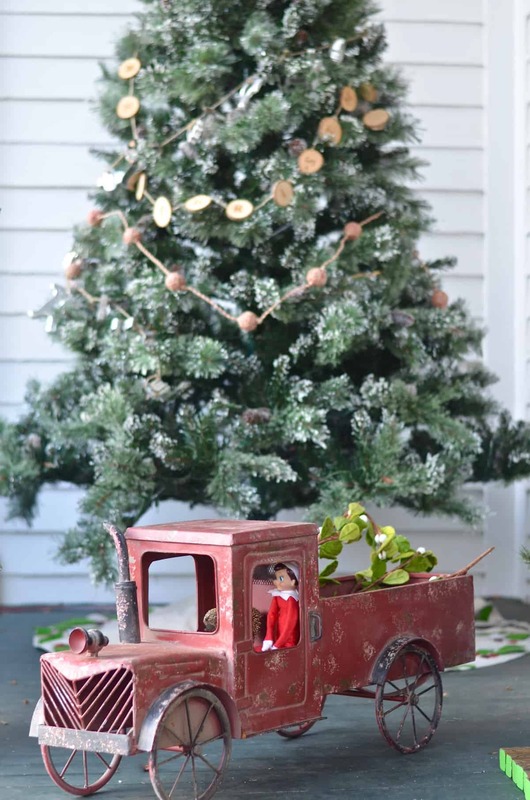 BUT… I LOVE decorating a SPACE for the holiday. 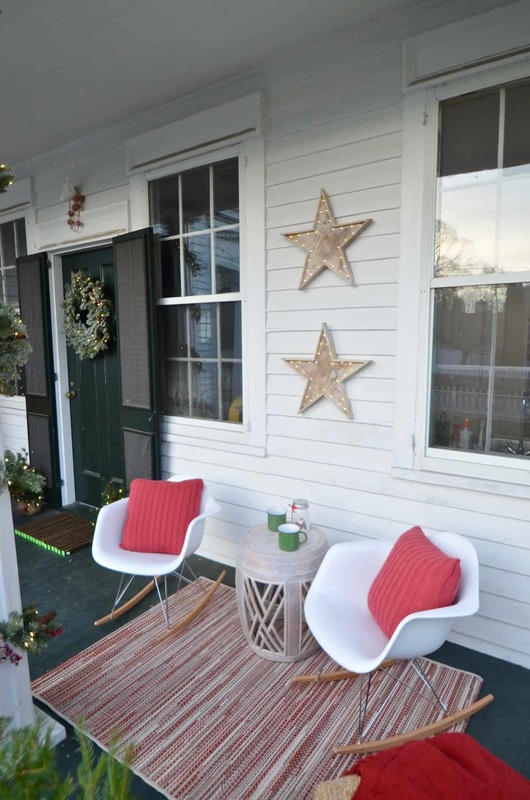 And today I’m sharing our gorgeous front porch! 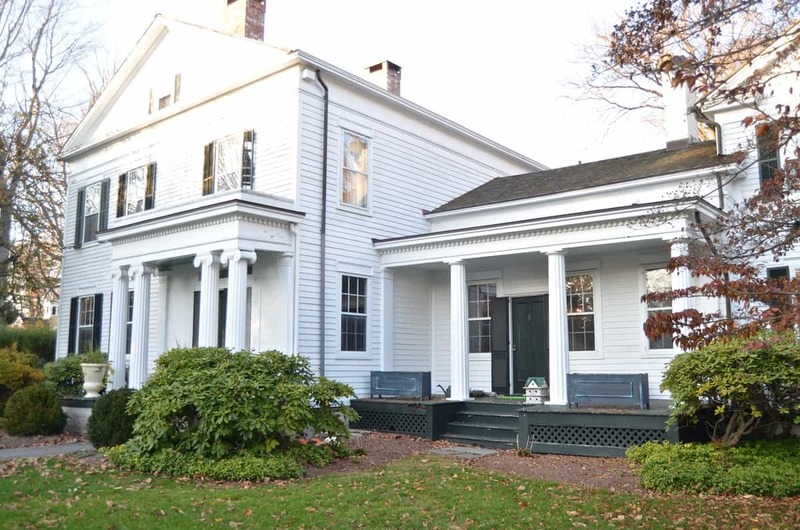 I’ve mentioned before, but our home was built around 1850 which means it has some wonderful classic features… think tall ceilings, wide floor boards, lovely moulding, and two porches. 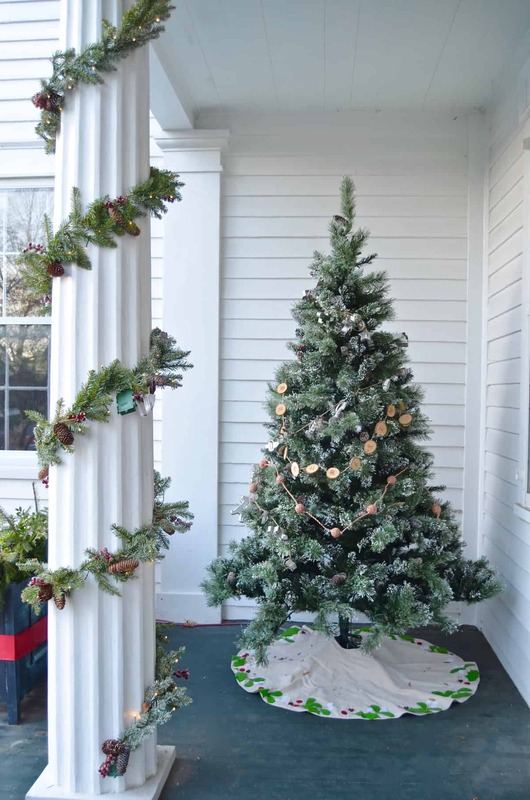 This porch is right off of our dining room and is off to the side of our main entrance, but it’s PERFECT for Christmas. 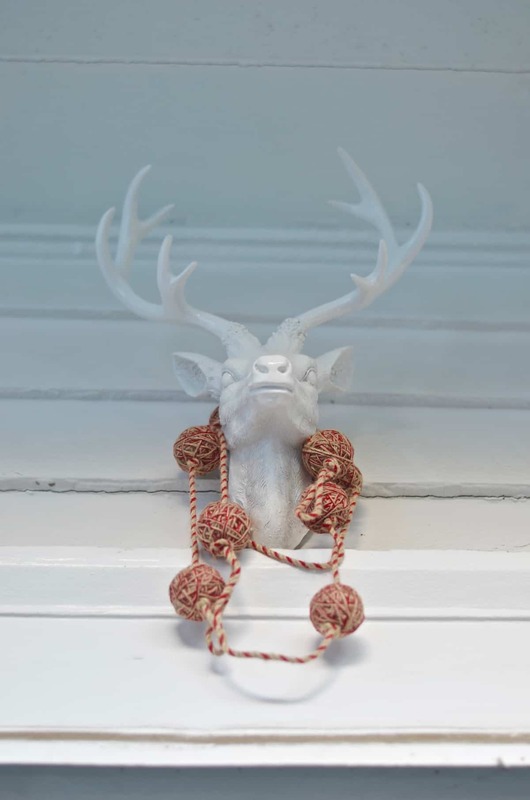 Disclosure: I’m thrilled to be working with Home Decorators Collection on this post. They sent me SO many goodies and I canNOT get enough of this festive space. Full source list at the end of the post, but I’ll include affiliate links under each image as well! 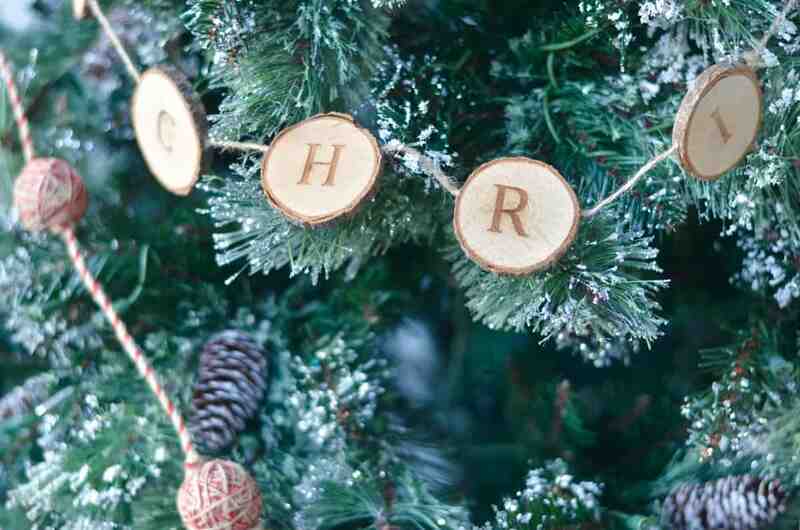 This is the year of the artificial tree for me and I’m a full believer. 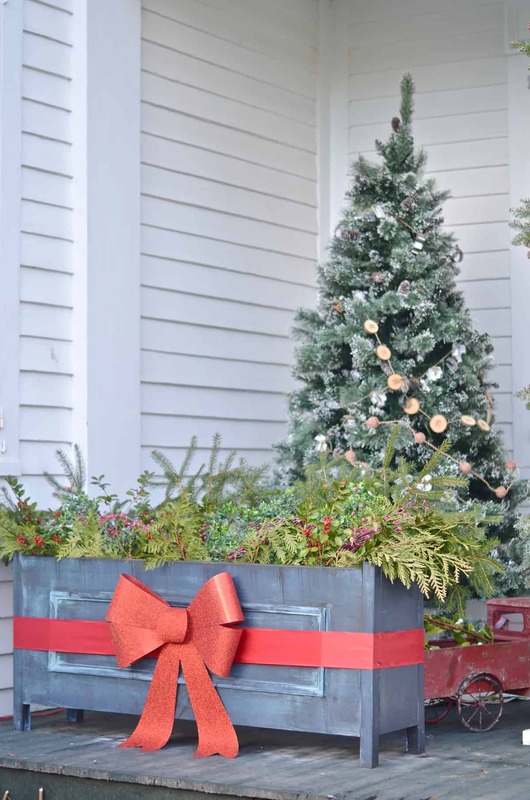 I chose this one from Home Decorators and it’s magical… the ends are a little bit frosted and a little bit GLITTERY! I know that sounds a little Liberace, but it totally works. I’ve already established my abilities with trimming the tree, but this one is so sparkly and pretty that it needs no extras. 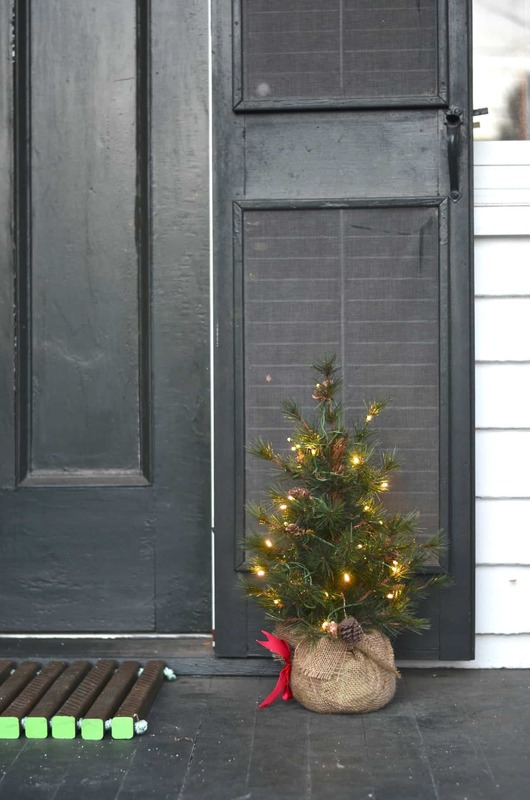 I did add a Merry Christmas garland, that cute jute garland and my flea market cookie cutter garland (DIY). 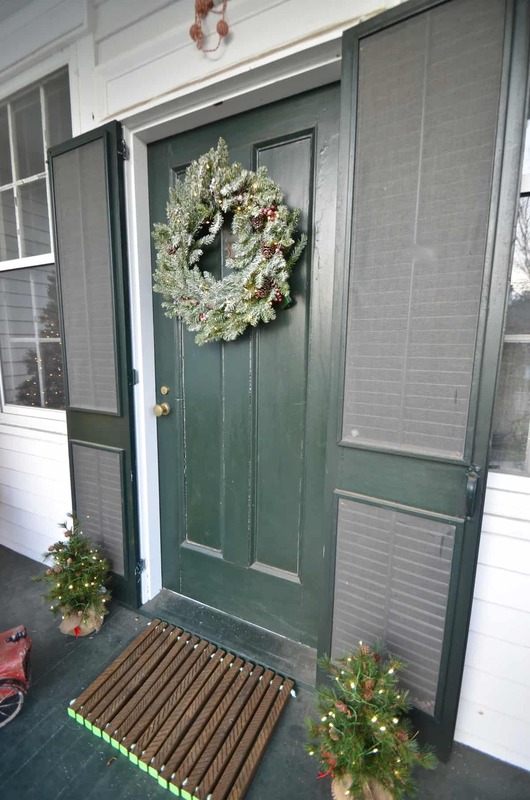 The door has a new gorgeous wreath and those two sweet pine trees flanking it. 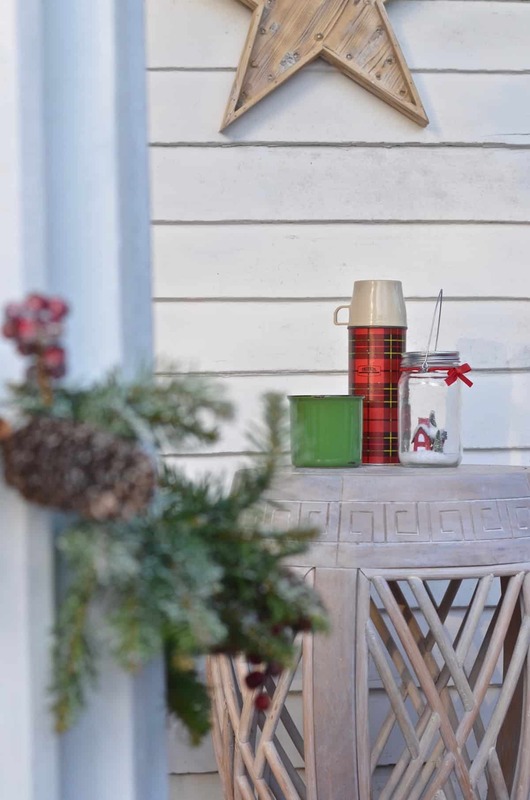 Here’s the thing with all of these fun accessories, folks… they all light up but they have a timer that magically turns them on at sunset each night! Maybe you already knew this sort of thing, but it’s news to me and my mind is a little bit blown! I don’t need to remember ANYthing but the tree! 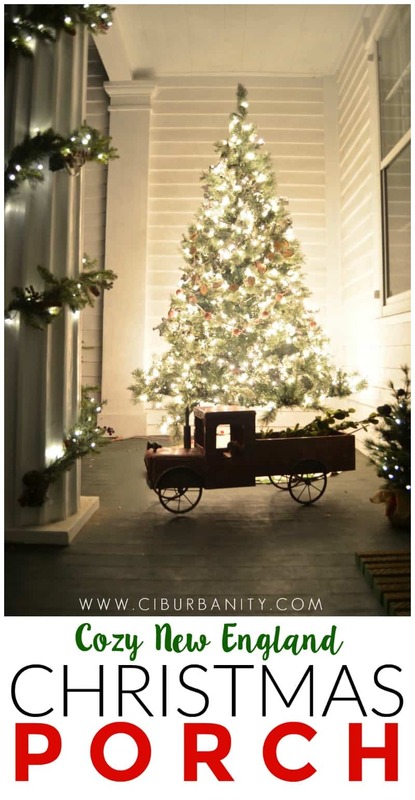 Technology guys… keeping Christmas bright one LED light at a time! Above the door, I also tucked in a deer head because I still enjoy them. A lot. I love that this one is white so doesn’t jump out at you from afar. Okay… the seating area. We got similar chairs to these rockers for our kitchen a few months ago and I LOVE them. They’re sneaky comfortable, super durable and WAY easy to clean. 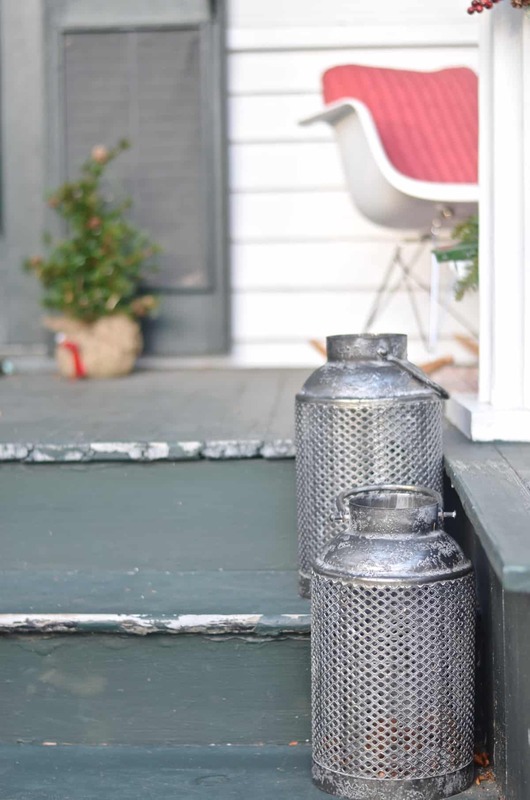 I also love that they’re this super modern vibe on the front porch of this old historic home. 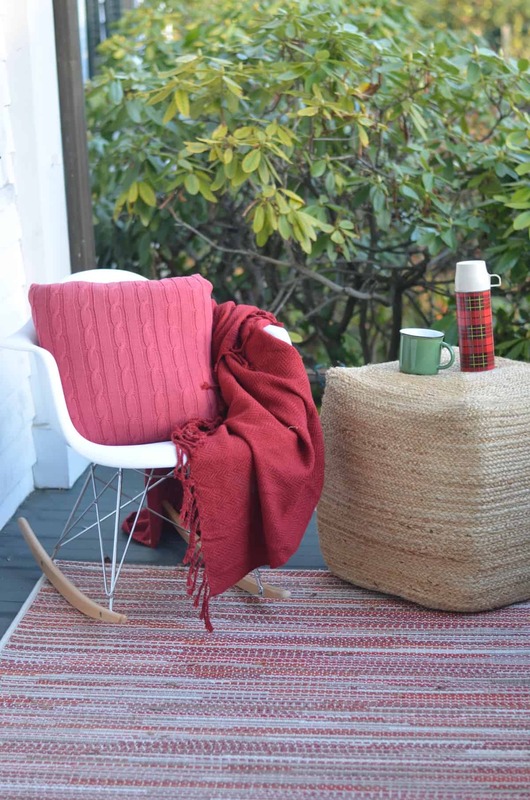 The outdoor rug brings in some red and keeps the space feeling a little more cozy and comfortable. 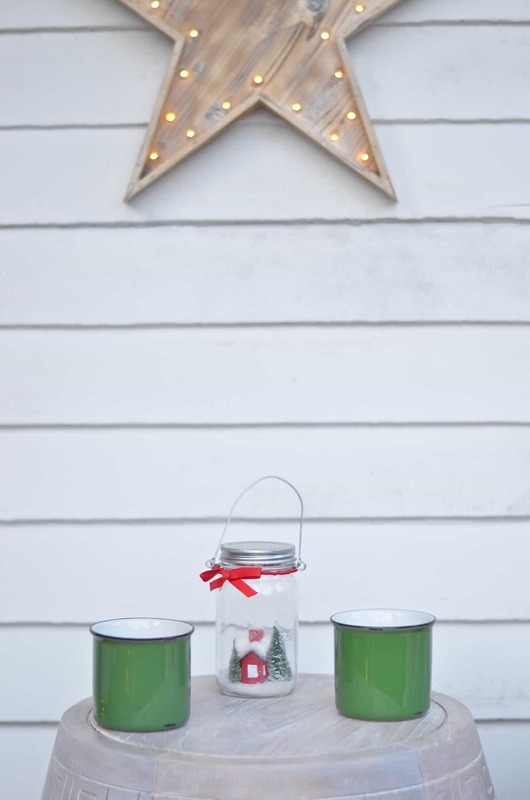 Those wooden stars may stay up 365 days a year. That is all. 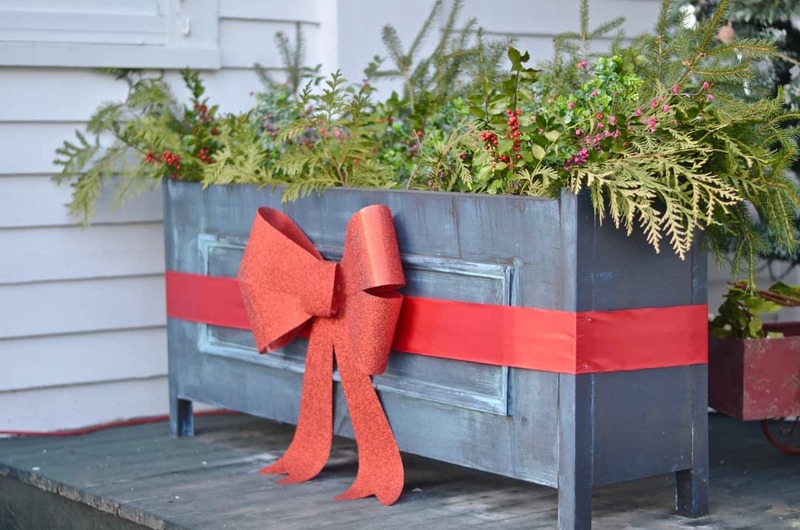 I asked folks on my Facebook Page what I should do with those DIY planters. Everyone suggested just filling them with cut greenery so… that’s what I did! I raided my friends’ yards and filled in with some 50% floral from the craft store. 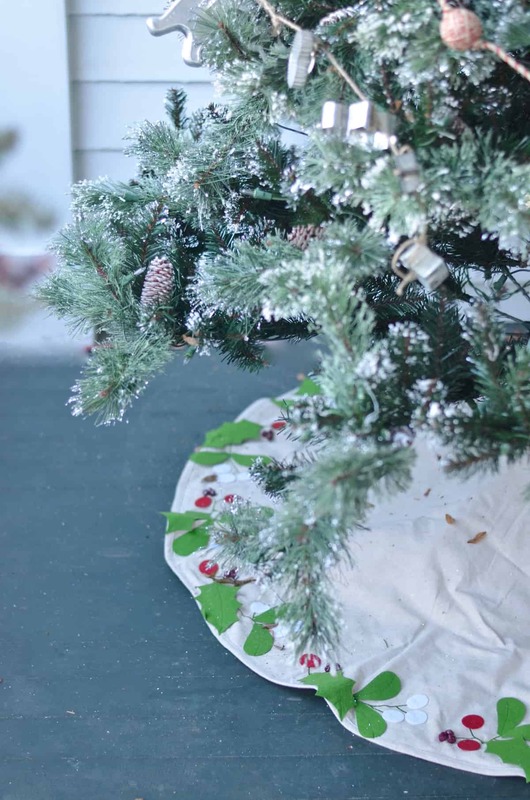 The tabletop trees aren’t weather proof or else I might have popped a couple of those in there too! The big ribbon and bow adds a nice bit of red to tie in with the seating area. 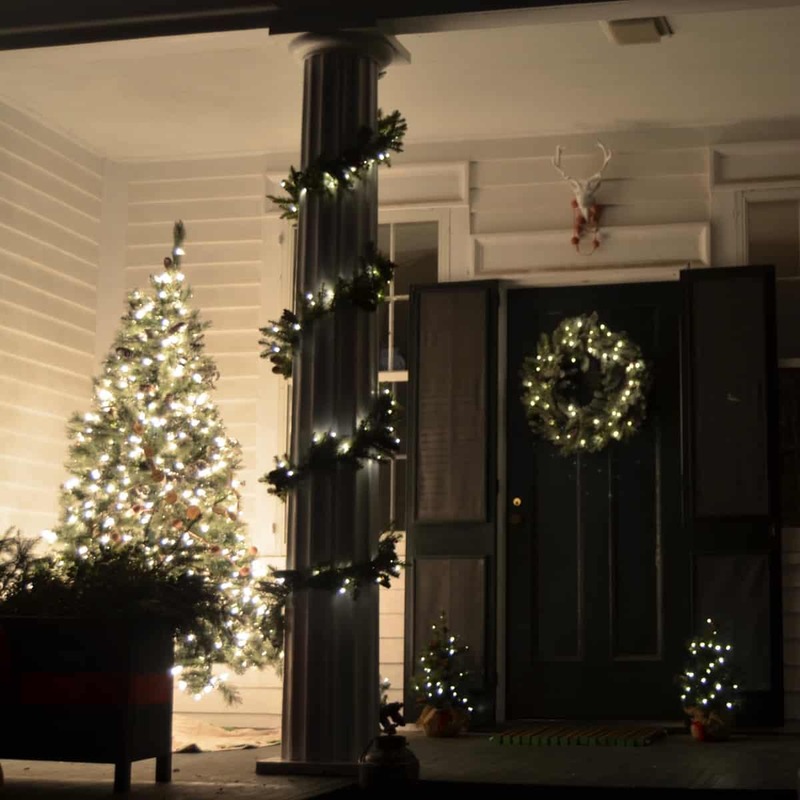 Garlands wrap around the columns and those metal lanterns flank the wooden steps. They might also stay put… I LOVE the detail and the metal and the size. 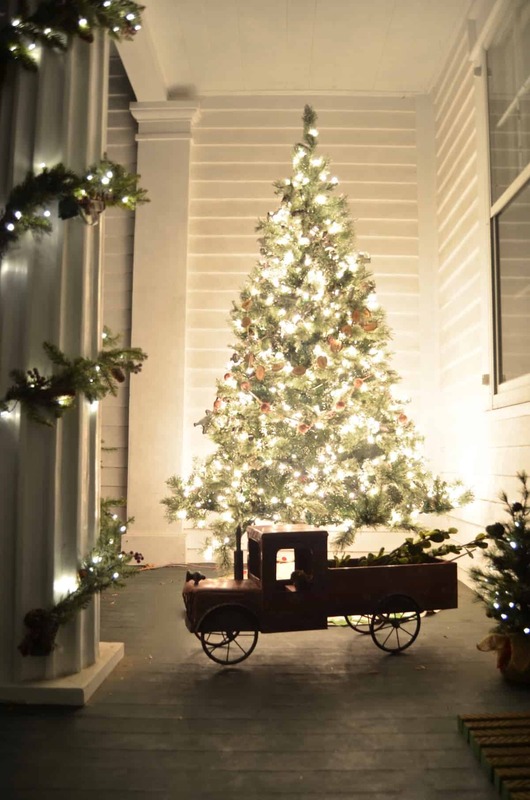 One of the things I enjoy most about Christmas decor is that it has one look during the day, and then another magical look at night when all the lights are on! 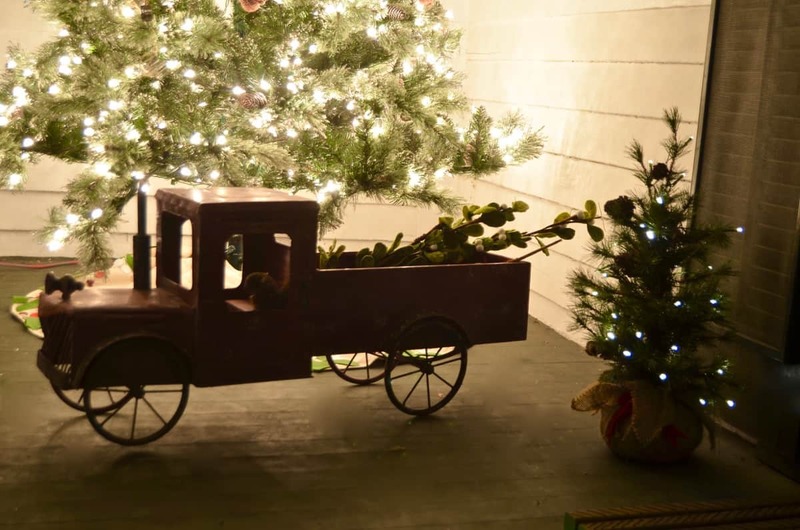 I can smell a fire burning in the distance and taste the hot chocolate when I see these pictures of the porch at night. 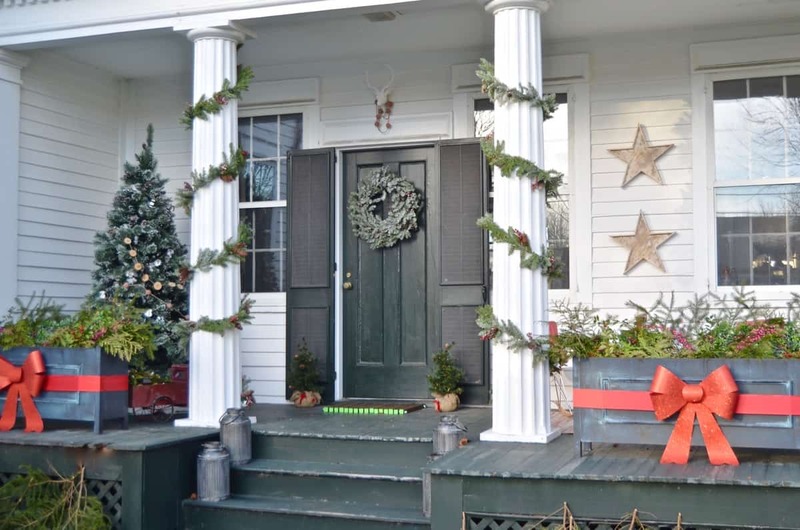 Here’s our front porch before and after a little Christmas-ification!!! Soooo much cozier, right?! 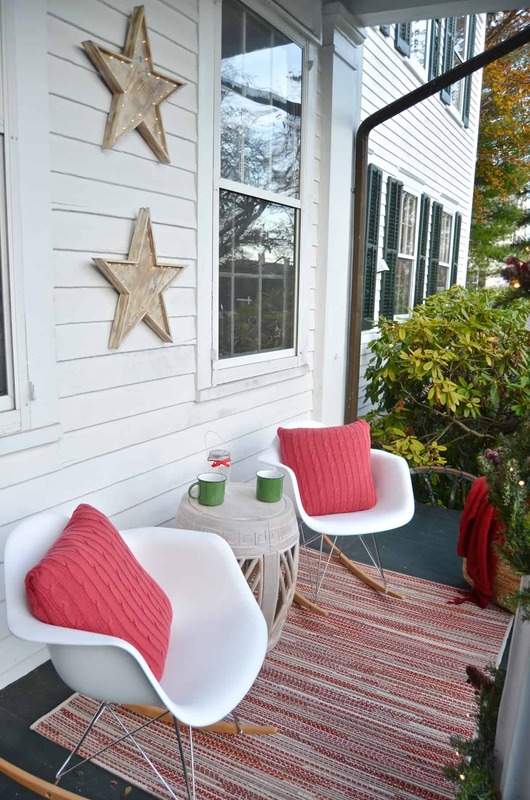 I am so grateful that Home Decorator’s Collection let me bring together such a wintery wonderful porch! 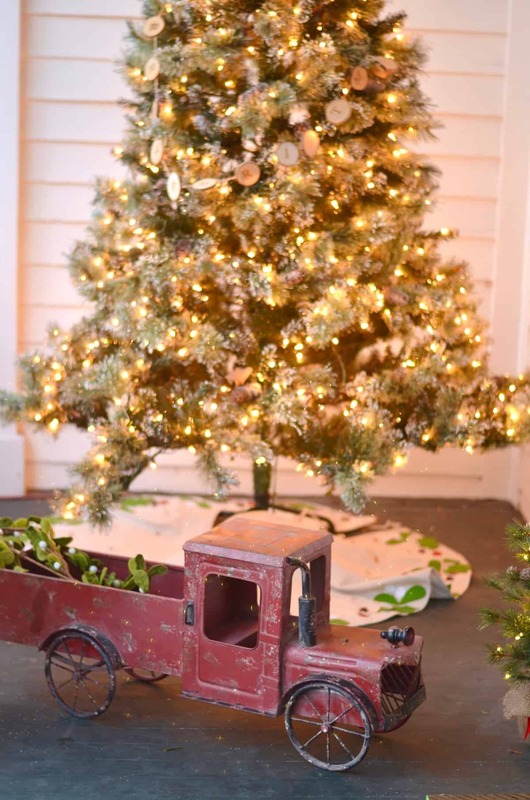 I’m hoping to have a full home tour to share with you next week, and tune in tomorrow for both our DIY Housewives Christmas post AND another attempt at decorating a tree. 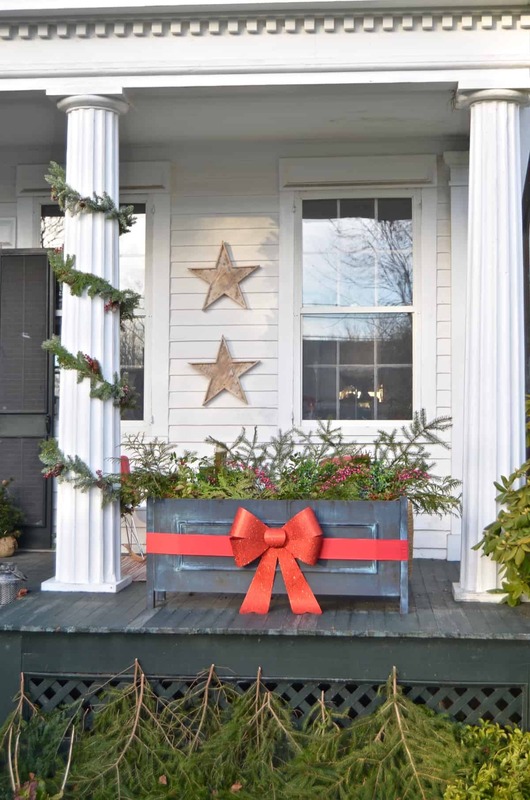 i LOVE your home so much… maybe because i grew up in new england, but the charm just slays me. 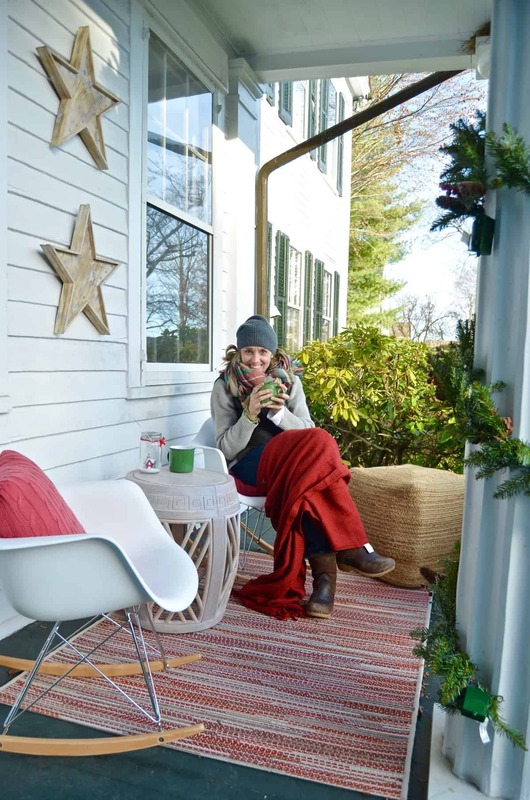 love your porch- the garlands, and chairs and truck! and you look so cute all bundled up! THanks! I wish we could have home tours with each other in persoN!!! Come visit!! YES! It’s from Home Decorators… below each picture is a Shop the Pic slider… you should be able to click ahead to the rug! Sorry… I missed that. Merry Christmas to all of you!! 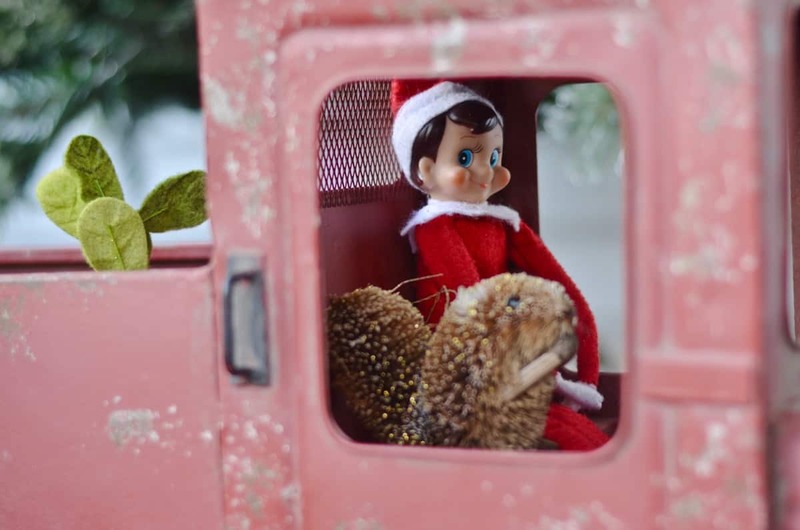 Nicely done, Charlotte……love that elf in the truck! Oh, and thanks for leaving the bird’s nest. Merry merry Christmas! 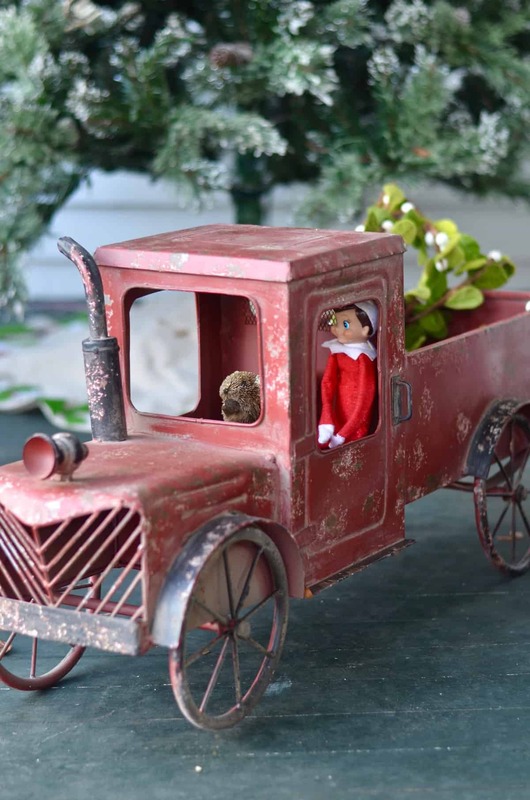 🙂 LOVE the elf cruising around in his truck! Thanks!